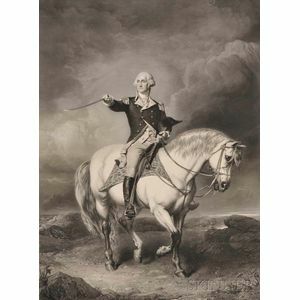 Washington, George (1732-1799) Washington Receiving a Salute on the Field of Trenton. 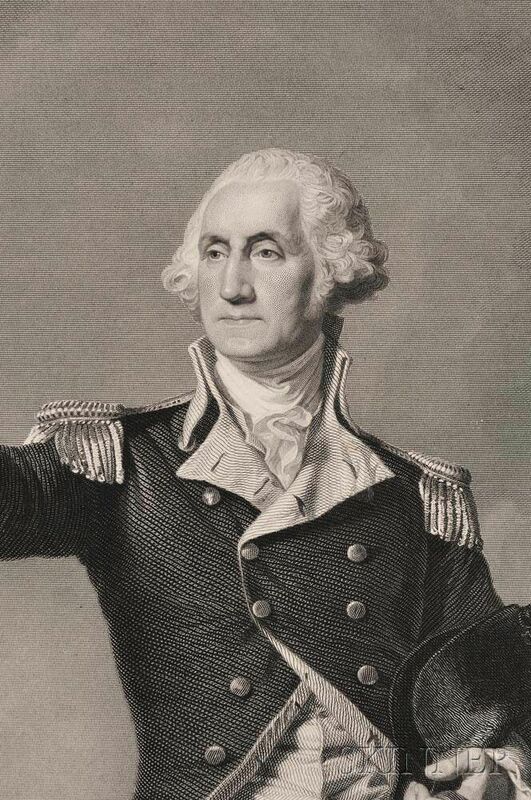 Washington, George (1732-1799) Washington Receiving a Salute on the Field of Trenton. 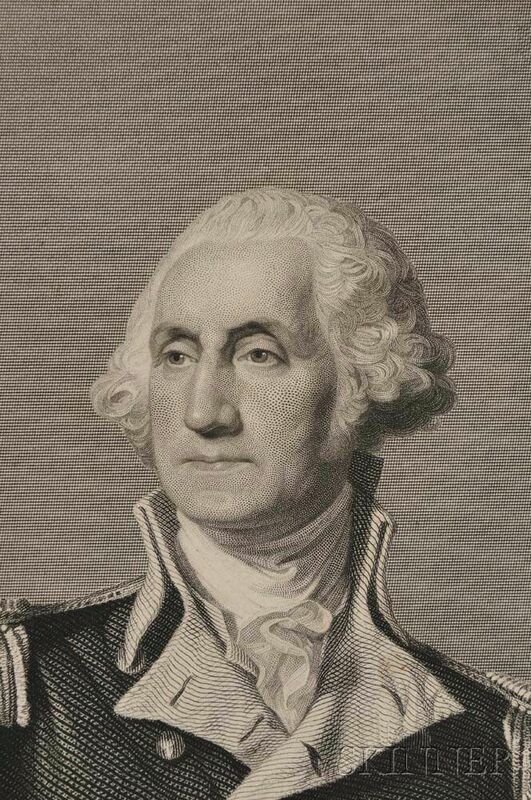 Washington, George (1732-1799) Washington Receiving a Salute on the Field of Trenton. 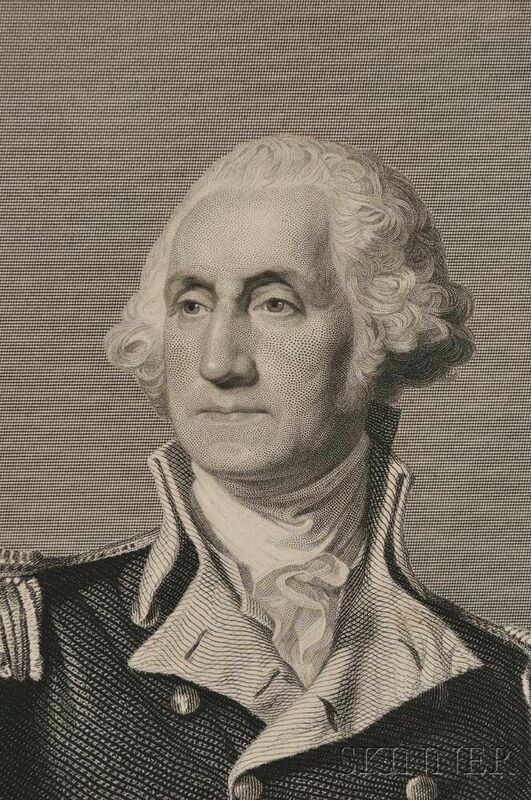 Washington, George (1732-1799) Washington Receiving a Salute on the Field of Trenton. Washington, George (1732-1799) Washington Receiving a Salute on the Field of Trenton. New York: Published by John McClure at Goupils, [c. 1863]. Large steel engraving by William Holl (1807-1871) after the painting by John Faed (1820-1902), perhaps a proof copy pulled before title, artist's and engraver's names were added (all are absent), publisher's information printed in top right corner, Washington facsimile signature at foot, along with a copyright line dated 1863 and citing N.D. Cotton of New York as the copyright holder; printed on wove paper, unframed, plate impression visible, marginal minor foxing and toning, reverse mat burn, 27 x 34 1/4 in. 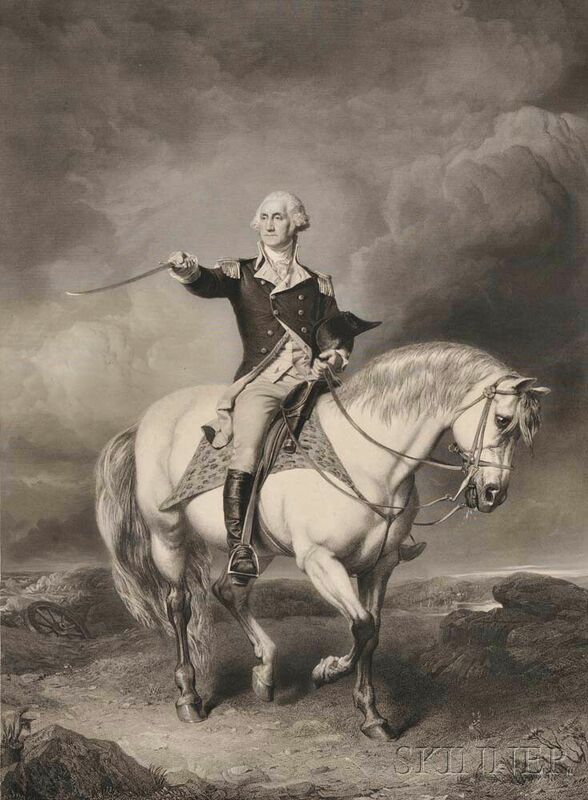 A full-length portrait, Washington appears on horseback and in uniform with a drawn sword in his extended right hand, his hat rests on his crooked left arm, held by the left hand. 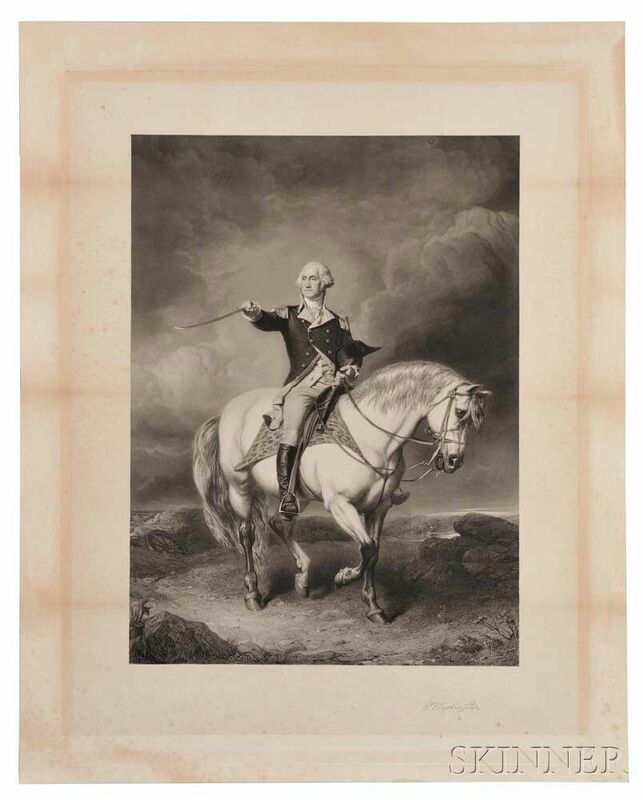 A contemporary advertisement for this engraving reads as follows, "This picture shows Washington on horseback, and when framed can not fail to prove a most interesting ornament to any parlor or sitting-room. Its influence upon the children of a house would be worth many times its cost in cultivating their tastes for fine works of art." (Herald of Health vol. 7, 1866). The Battle of Trenton was a minor but pivotal battle fought just after Washington crossed the Delaware on the morning of December 26, 1776.